When you look at world issues, you find that one of the biggest problem faced by humans is that of transport. Traffics clog cities, and while we get more and more busy, and time gets tighter and tighter. Personal transports such as bicycles are making way, but they have their limitations. You need to be fit, and quite frankly, it is a harsh world to try and share with all the horse power we see on the roads. This is where the AirWheel comes in. Think of a segway. Think of a unicycle. Think of skate boards, and think of roller blades. Think of the best possible combination of them. Your on the go personal solution to transport around a city! See the following video to get a better idea of what it is capable of. Units are battery powered, and feature fast charging. Being electric means you can be assured of it being eco friendly, and much like electric cars, it will even charge itself when you’re slowing down or going downhill. 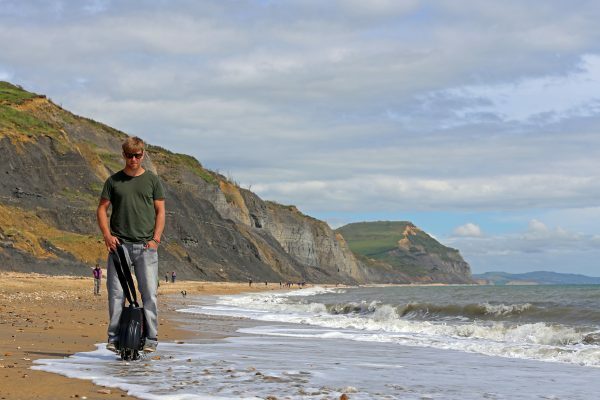 While available in different model options, they are all waterproof, meaning you can use it in all weathers, and best of all, a single charge can get you up to 28 miles. Oh yes. 28 miles! That is quite a lot of commute time there! Added safety features mean it is self balancing, and it will cut out every time the user jumps off, while making sure power remains on when the user is on it. 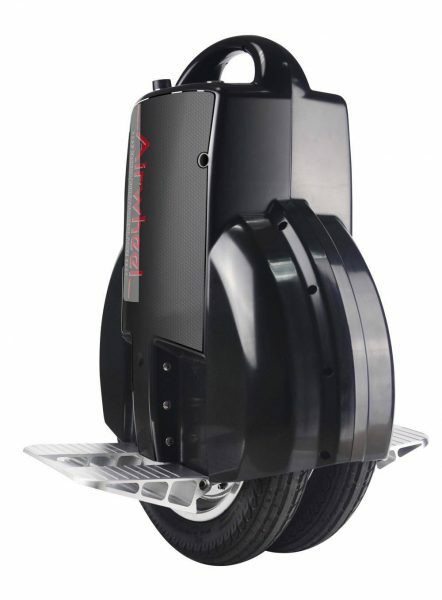 With built in safety precautions allowing for a smooth ride every time, the ability to cut the power automatically when the user jumps off, and the added factor that the unit will never just cut out – it will gently lean back so the user safely steps off – the AirWheel really is one of a kind. It comes in 2 models, priced at £495 and £599, giving 400W and 500W output each. We’re definitely looking forward to trying one and out seeing how well it can change usual mode of transportation!